When you have the right tools, you can create something truly extraordinary. Since its invention in 1922, the blender has been used commercially for creating delicious beverages like the classic milkshake, and it quickly became a staple appliance in soda fountains, diners, and restaurants. Today, the home blender ranks as one of the top items on a bridal registry list, while the commercial blender has become a must-have for any restaurant, bar, food truck, or similar establishment. When shopping for a new commercial blender, also known as a bar blender, several factors should be considered. Type of Usage. Any blender used in a commercial setting is likely to see more usage than the average home kitchen food blender. When shopping for the best bar blenders, it’s important to consider the type of usage for the appliance. Will it be used for making smoothies, the most popular menu item? Is this your primary appliance for blended cocktails? Ingredient Versatility. If a bar blender is needed for frozen drinks, the appliance must be able to thoroughly blend ice, fruit, and other similar ingredients. It needs to be able to turn ice smoothly into a frozen margarita or create a blended mocha without effort. 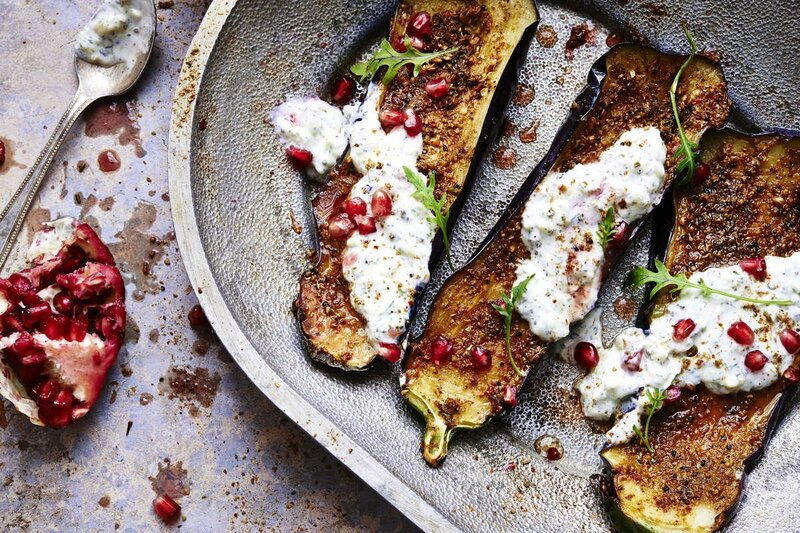 However, culinary blenders typically face a range of tasks and require more settings and blade speeds to tackle whole foods that can include nuts and roots. The best bar blenders share several must-have features like the ability to be disassembled and reassembled easily for thorough cleaning per safety standards and regulations. The bar blender should be able to effortlessly handle 50+ uses daily without motor seize-up or overheating. An impact-resistance container and no-drip spout are pluses as are components that help reduce the noise level while the blender is in use. In the home kitchen, the noise level of the blender doesn't have a huge impact. However, noise level of the bar blender can make a difference to the patrons of a bar, restaurant, or coffeehouse. 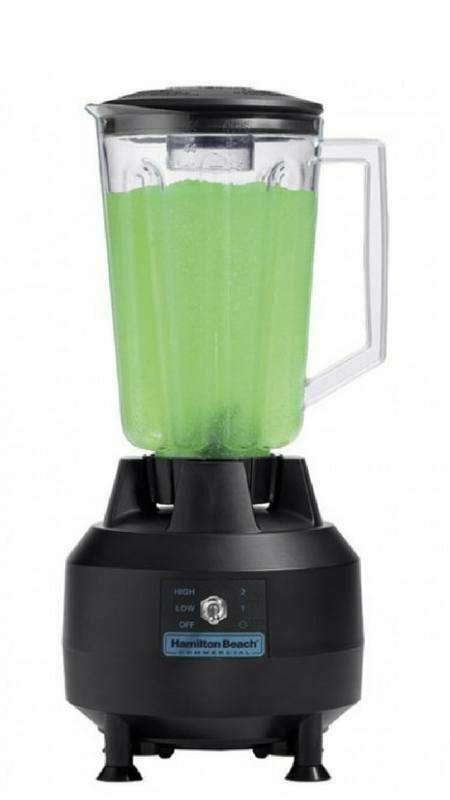 Bar Blender Usage: Is One Blender Better for Certain Uses? Because of the blender’s versatility, the lines between bar blender and food blender can become blurred when considering the various features. When shopping exclusively for a bar blender, a common question arises: is one better for certain uses? The answer to this question is as individual as your establishment and blending needs. For example, a blender like the Vitamix The Quiet One offers a specific noise reduction feature that’s ideal for many front of house environments, in particular, coffee shops where guests may prefer a quieter background. 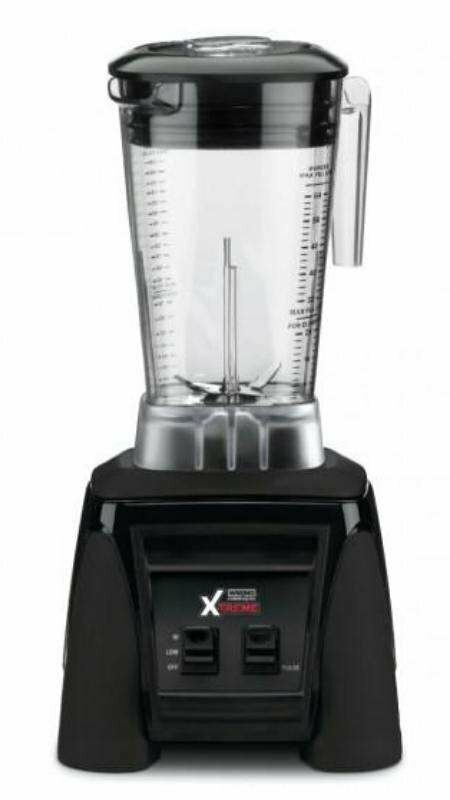 For dimly lit bar areas, the Waring MX1000XTX Hi-Power 64 Oz Blender features easy-use, simple paddle switches for Hi, Lo, Off, and Pulse, while the Hamilton Beach HBB250R Rio Blender 1/2 HP has a Wave-Action feature designed to push the mixture down toward the blade in a continuous motion to deliver the smoothest consistency, making it a good choice for high output of smoothies or blended cocktails. Need a daiquiri or margarita blended in 20 seconds? Look to the Hamilton Beach HBB250R Rio Blender with its unique Wave-Action feature. It’s designed to continuously direct ingredients downward to the blades, so every drink is deliciously smooth every time. As a bar blender, it’s a standout with easy-to-use toggle switches and a stackable, polycarbonate container designed to be durable plus easy to store. Hamilton Beach boasts a selection of blenders that includes the model HBB908 with its ability to swiftly blend half-liter drinks in only 25-seconds—perfect for busy bars and restaurants. When durability is high on the must-have list, the Hamilton Beach HBB908 has four, stainless steel blades that effortlessly chew through ice. There also are Sure-Grip feet to keep the blender safely and securely in place during use. 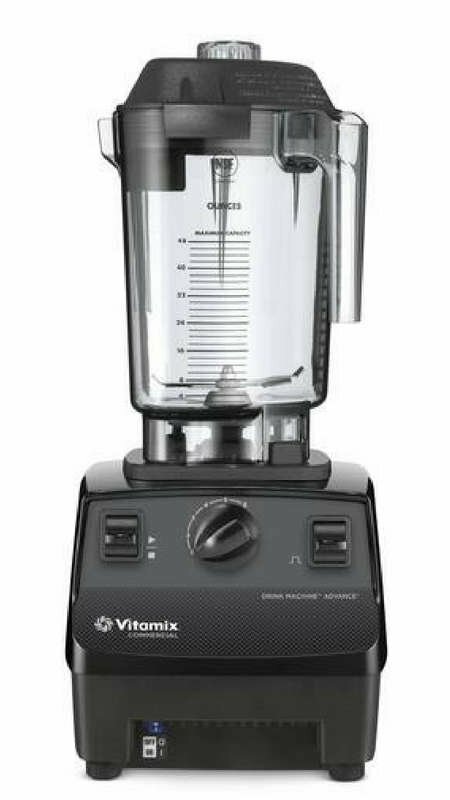 Similar to the Vita-Prep 3, the Vitamix 62827 Vita-Prep model features the intuitive controls, start/stop switch with auto-neutral, and tamper to help control dense ingredients processing. It easily handles back-to-back blending plus chopping and grinding for sauces or food prep as needed. 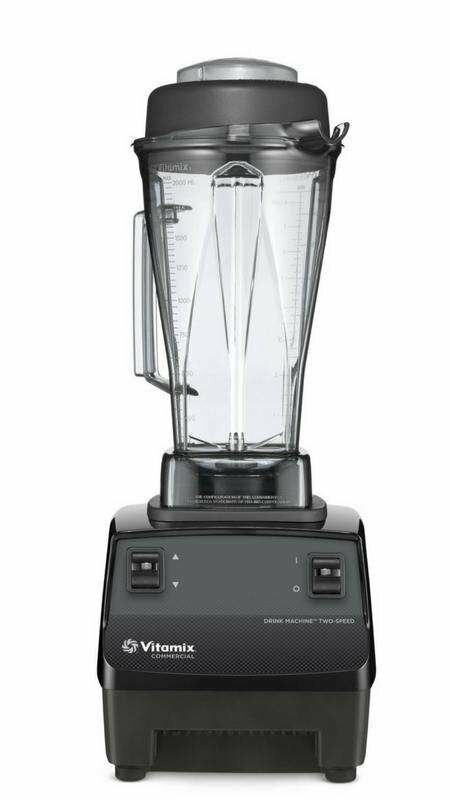 Considered a professional-grade blender, it does come with a less expensive price tag than the Vita-Prep 3. 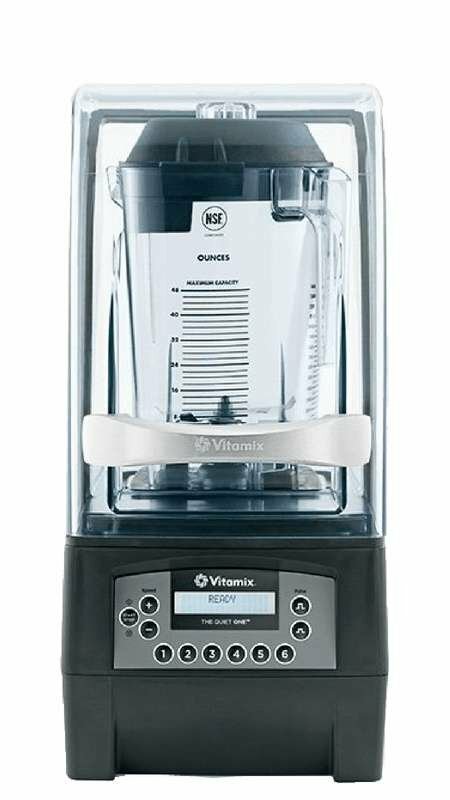 The Vita-Prep 3 Blender from Vitamix has advanced cooling fans that help prevent overheating when mixing back-to-back drinks during your busiest hours. Ideal for multiple users, this blender has intuitive controls plus a start/stop switch with auto-neutral. It comes with a tamper for processing denser ingredients that easily are processed by the variable speeds. Made for drink mixing, the Vitamix 62828 Drink Machine Two-Speed is a must-have for blending fruit smoothies, milkshakes, acai bowls, and frozen cocktails. Any busy restaurant, cafe, or bar needs a drink blender that can handle both high-volume and a variety of ingredients. This blender has easy-to-use controls, ample horsepower, and a durable 64-ounce container. Sleek and stylish, the Vitamix Drink Machine Advance has six programs for consistent, fast, and high-quality beverage making. The optimized programs include an auto-shut-off to allow associates to begin the blend and then attend to other tasks without sacrificing quality. Like other Vitamix models, it’s powerful, durable, and designed to handle back-to-back blends throughout any busy work day/night. It’s perfect for smoothies, milkshakes, frozen cocktails, frappes, and other mixes. An elite machine, The Quiet One from Vitamix has a unique feature. It’s the only Vitamix with a magnetic enclosure designed to reduce noise during usage without sacrificing performance, making it the ideal choice for a coffeehouse, bar, or similar establishment. It has 93 variable speeds, 34 available settings, and six optimized programs plus its blades are made specifically to withstand the high-usage of any restaurant. Making 75 or more blended drinks per day? The Waring Hi-Power blender can handle the job. 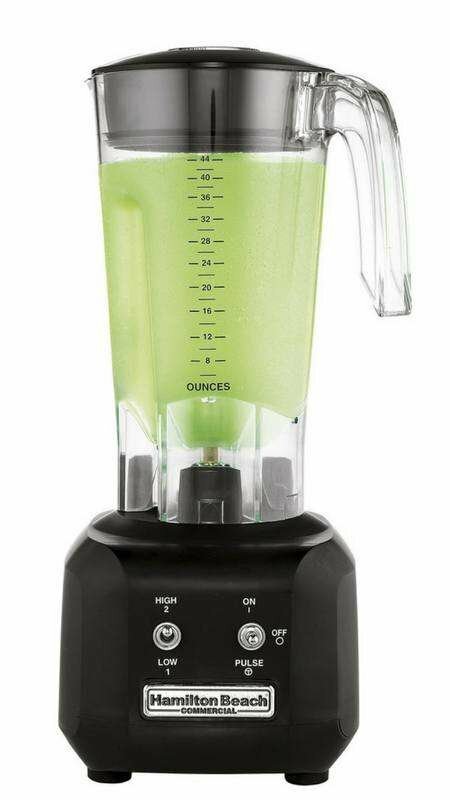 Use it to puree fruit for smoothies, blend powder mixes, and power through ice for the smoothest frozen cocktails. It features two speeds, including a super-high for the smoothest blending, and the 64-ounce BPA-free container is stackable for easy storage. Paddle switches are convenient and easy-to-use in dim lighting, ideal for bars and restaurants. Shop Dean Supply for high-performance, commercial blenders designed specifically for bar and restaurant usage, and that also fit effortlessly into the home kitchen. Look to Dean Supply for familiar and trusted brands like Hamilton Beach, Vitamix, and Waring to satisfy any blending needs.